Rebecca D. Bullard represents clients primarily in labor and employment litigation and counsels clients regarding everyday employment matters. She has represented large corporations, franchises, state agencies, and small businesses, including local and regional companies in a myriad of industries, international airlines, national utility companies, national retail chains, national health care providers, and national fast-food chains in commercial and employment related litigation, and she deals directly with client and in-house counsel to formulate litigation strategies and provide employment related and other legal advice and assistance. As a litigator, Rebecca represents employers in all aspects of litigation (including arbitrations, proceedings before state and federal agencies, and civil actions in state and federal court, throughout both the trial and appellate levels) in defending against employment claims, including discrimination, harassment, retaliation, wrongful discharge, whistleblowing, trade secrets, breach of contract, tort, wage and hour, OADA, ERISA, Title VII, FMLA, ADA, ADEA, and FLSA. In her transactional practice, Rebecca drafts employee handbooks, policies, and agreements, and regularly counsels and provides legal advice to employers regarding various everyday employment related matters. Rebecca also has experience conducting employee investigations in conjunction with whistleblower and other claims involving Nuclear Regulatory Commission regulations and performing cause of origin and litigation related inspections and investigations regarding potential or existing propane and other product liability claims. Representation of national utility company in wage and hour collective action. Representation of state agency employer in multiple employment-related claims involving complex issues of sovereign immunity, sexual harassment, retaliation, age discrimination, FMLA, Oklahoma Tort Claims Act, and state law breach of contract. Representation of national fast food chain in pattern and practice racial discrimination claim involving complex and novel legal issues before the EEOC. Representation of international airline in multiple actions under ERISA. Representation of national retailers in a variety of employment-related lawsuits in Oklahoma state and federal courts. 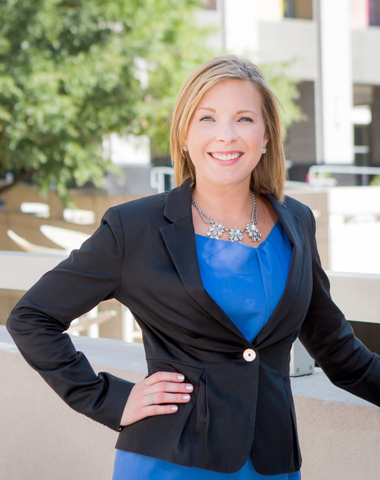 09.02.14 Doerner Saunders Welcomes New Attorney! 09.01.17 The Employer's Legal Resource: Is an employer required to pay employees for time spent travelling for their job? 07.01.2017 The Employer's Legal Resource: Can Your Employer Keep Your Tips? 07.01.16 The Employer's Legal Resource: What if My Employee is "Highly Compensated"-- Is She Exempt?